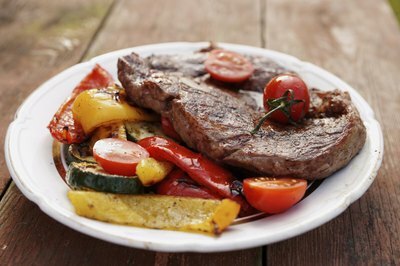 Two delicious, fairly expensive cuts of beef are the rib eye steak and the Delmonico steak. 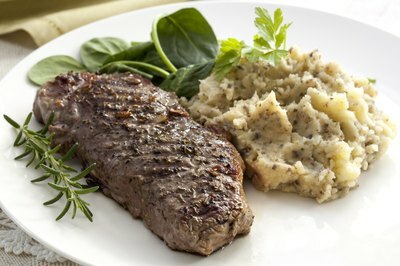 These two pricey selections are delicacies for the serious beef eater, but there are several differences between them. The terms rib eye and Delmonico refer to two different things entirely. Rib eye refers to a type of steak that comes from a certain area of the cow. Delmonico may refer to several different steaks each coming from different areas of the cow and having different methods of preparation. 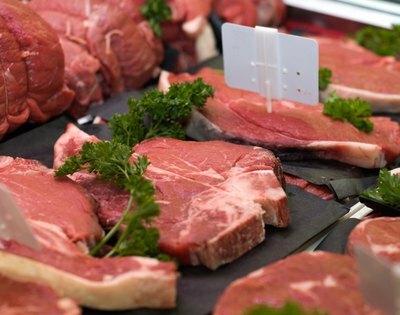 For centuries, butchers have referred to steaks cut from the rib of the cow as rib steaks or rib eye steaks; the term, "Delmonico," originated during the mid-1800s named after the Delmonico Restaurant in New York City. Today, Delmonico is more of a marketing term applied to several cuts rather than a specific but of beef. The rib eye and Delmonico steaks are each cut from different areas of the cow, although the areas are in close proximity to each other. The rib eye, as its name suggests, is cut from the rib section of a cow, specifically the Longissimus dorsi muscle. That muscle goes from the cow's neck to its hind parts and several different steaks are cut from it. The Delmonico steak is also cut from this muscle, but can refer to a steak cut from the short loin (closer to the back of the cow), the chuck (located at the front of the cow) or to a boneless steak cut from the rib. The rib eye is considered the most tender and succulent cut of beef because it comes from the area of the cow with the most marbling (fat interwoven in the muscle). It can be grilled or sauteed in a pan without the need of a marinade to breakdown tissues. Delmonico steaks, because they may come from different areas of the cow, may be tougher and require different methods of cooking. A Delmonico steak that comes from the chuck should be marinated or pounded to tenderize it. However, a boneless rib eye steak may occasionally be marketed as a Delmonico and may therefore be cooked in the same way as a rib eye. A rib eye steak is generally going to be more expensive than a Delmonico, regardless of the area of the cow from which the Delmonico is cut. Depending on the area of the cow from which the Delmonico steak is taken, the rib eye may cost up to twice as much.